How do I know if my KYC is approved and account is verified? You will receive an email confirmation once your KYC verification is complete. 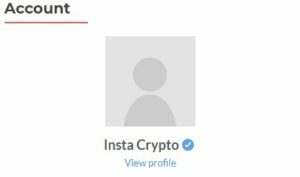 You can also login to your InstaCrypto account and check for the verified account symbol below your profile photo.